It was getting harder and harder to overlook Cheltenham junior Jaelen McGlone prior to this match. After the performance the guard put on against Cealin Peters and his Plymouth Whitemarsh teammates, it’s now downright impossible. 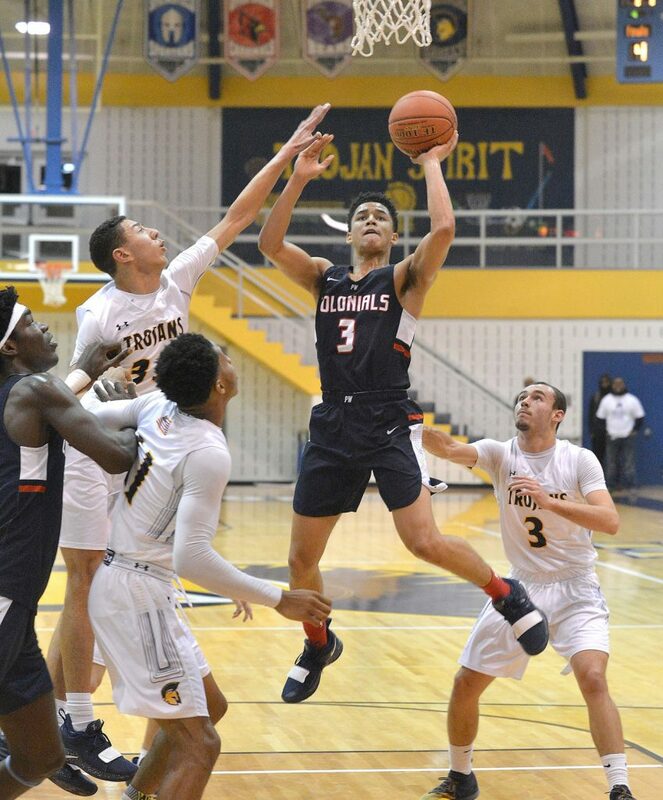 Behind McGlone’s impressive two-way performance, a steady hand from Zahree Harrison and a lot of contributions from the guys around them, as Cheltenham topped Plymouth Whitemarsh for the second time this season 66 – 57. Cheltenham led 54-41 after three quarters, but had some trouble with Plymouth Whitemarsh’s aggressive fourth-quarter defense. With Peters and his teammates faceguarding then sending a double team at whichever player received the inbound pass, Cheltenham were forced into five turnovers in the frame. Plymouth Whitemarsh got within 58-50 after a Peters bucket with 3:22 left, so Cheltenham made some adjustments. Peters led Plymouth Whitemarsh with 21 points, getting 11 of them in the final quarter.